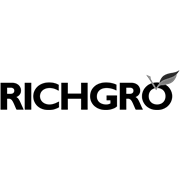 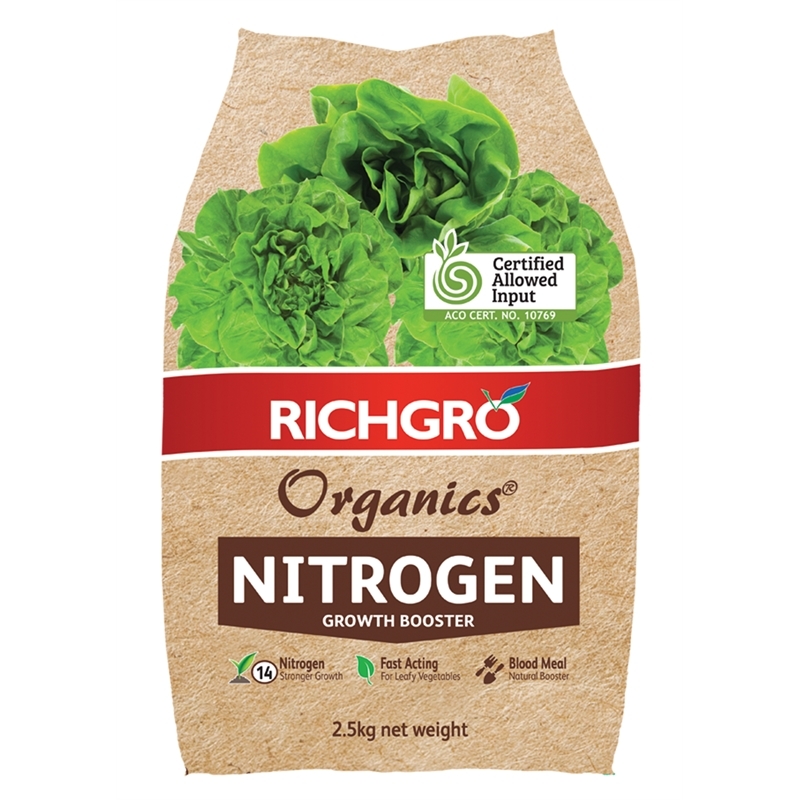 A fertiliser high in nitrogen that will quickly increase plants’ yield and add lots of leafy green growth. 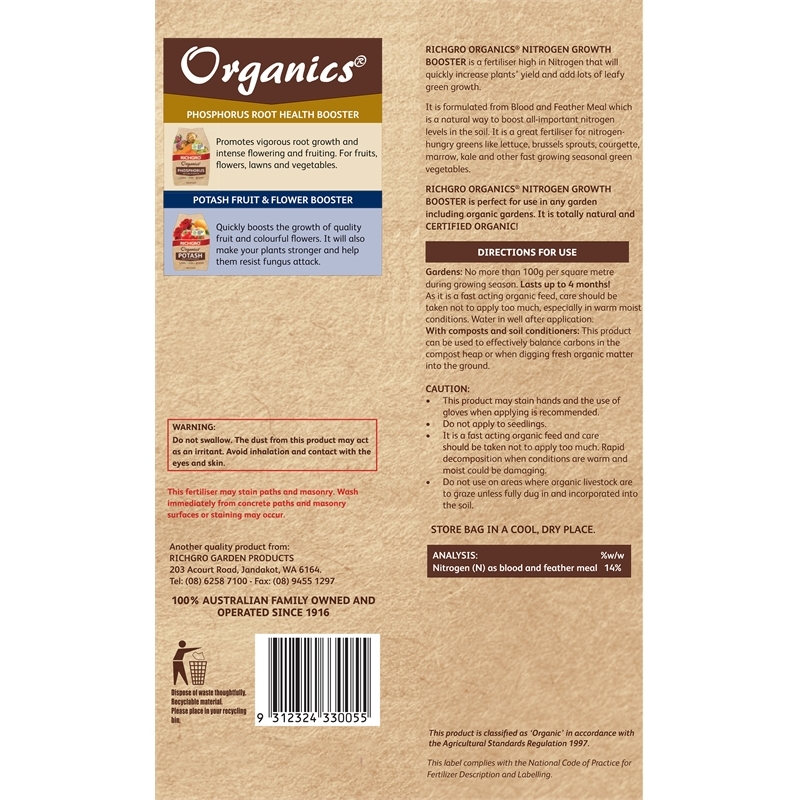 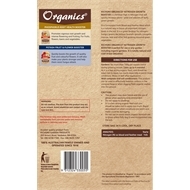 It is formulated from blood and feather meal which is a natural way to boost all-important nitrogen levels in the soil. 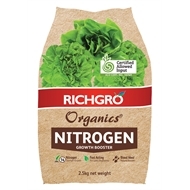 It is a great fertiliser for nitrogen hungry greens like lettuce, brussels sprouts, courgette, marrow, kale, and other fast-growing seasonal green vegetables.